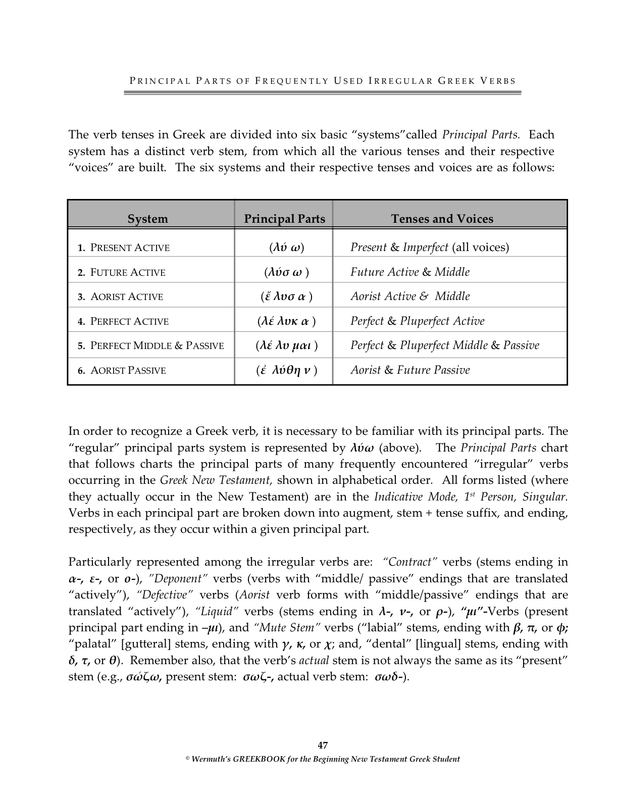 contraction chart | "It's All Greek to YOU!" Here’s a look at “Contract Verbs” made a lot easier. Remember, the only two tenses that are impacted by “contractions” of vowels are the Present and Imperfect, since these are the only two tenses that utilize a “Present” stem (1st Principal Part) with nothing added to the end before it encounters the thematic vowel(s) of the personal endings. 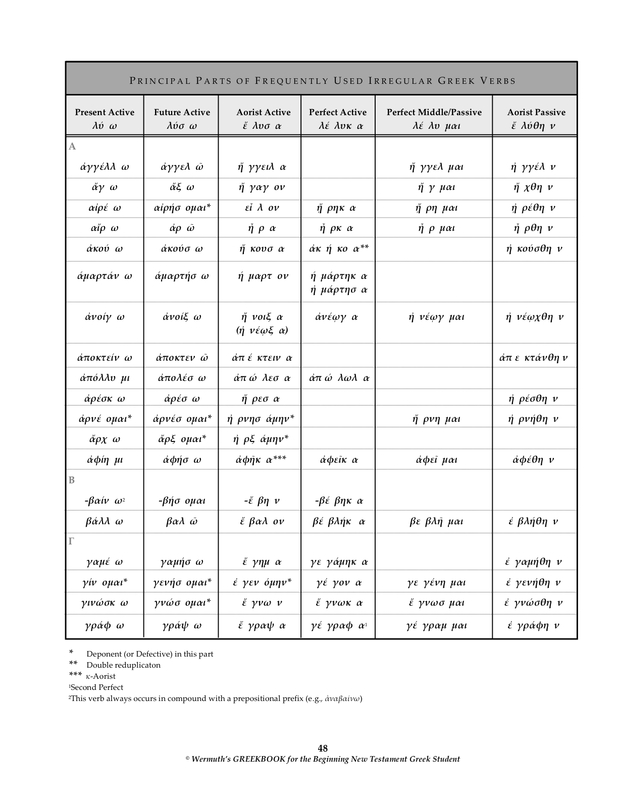 Notice that I’ve set up this chart in a “logical” fashion, where the contract verb vowels (α, ε, or ο ) and the potential vowels that they can collide with in forming tenses and moods (modes). 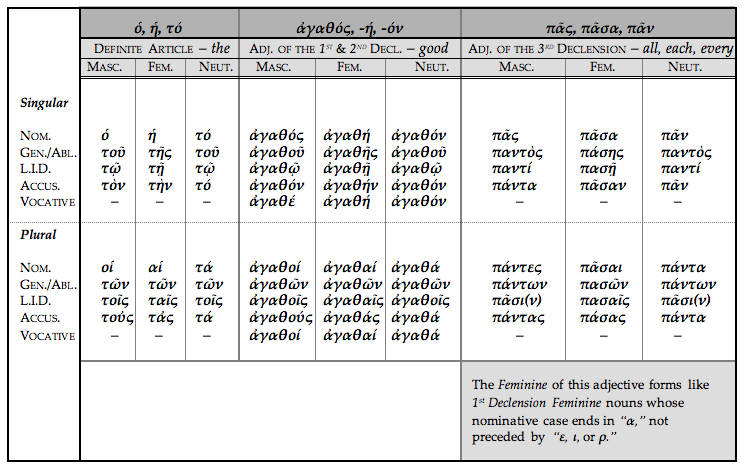 These are listed in a logical progression, either alphabetically (above) or in a similar progress from short ε, to ει, to η (long “e”), to ῃ, to ο, ου, and ω. Not only is this a logical way to set up a chart like this, it also reveals patterns of results of the collisions that make the entire chart more memorable in your head. (1) Observe the collision of α with any “e-class” vowel: short (ε), diphthong (ει), and long “e” (η or ῃ) results consistently in α. When colliding with “o-class” vowels: short (ο) , diphthong (οι), or long (ω), the result is always as long as possible: ω. (2) Moving on, the ε contract vowel when colliding with other vowels always gets longer, either a little longer: to a diphthong (ει), or as long as possible (η or ω) within the category of vowel with which it’s colliding. (3) The final contract vowel ο also gets longer through it’s collisions with other vowels— to an ου diphthong when meeting ε, an ο, or an ου; to an οι diphthong when colliding οι diphthong when colliding with anything that has an ι in it (ει, and ῃ); and to ω when it encounters any long vowel (η or ω). 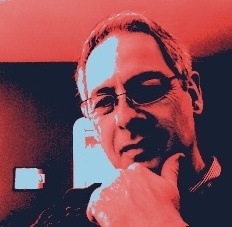 Click image below for to view in a separate window, or click here for a downloadable image (JPEG also available from the sidebar). 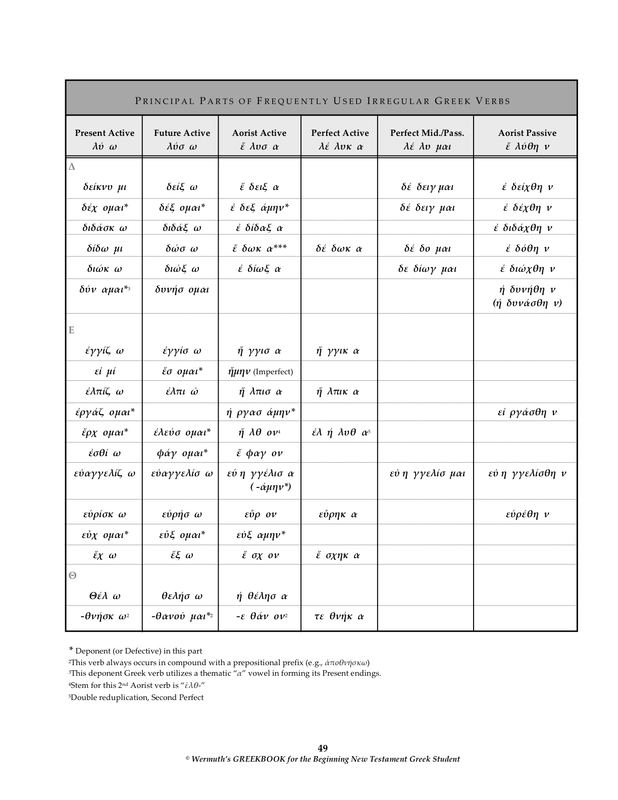 Also, click to download this PDF for an extended look at all the results of all the collisions for each type of “Contract Verb” in every “Present” and “Imperfect” tense situation where they occur. 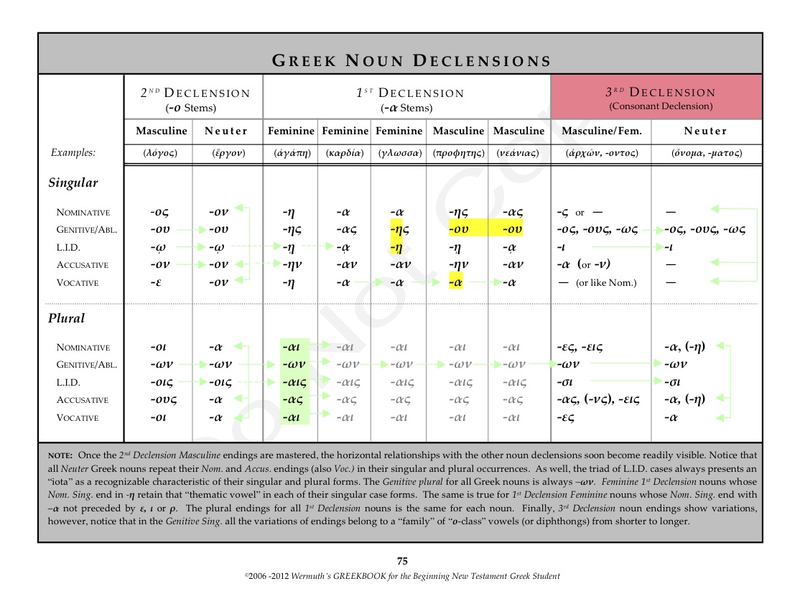 **REMEMBER, too, that the predominant indicator that a “contraction” (collision) of vowels has occurred is the Greek circumflex (~) accent that appears (most often) over the location of the contraction.